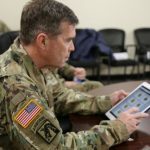 FEBRUARY 10, 2017, WASHINGTON – A few thousand more troops for the train, advise and assist mission in Afghanistan would help to break what is now a stalemate with the Taliban, the Islamic State of Iraq and the Levant and other adversaries there, the commander of NATO’s Resolute Support mission and of U.S. forces in Afghanistan said Thursday. Army Gen. John W. Nicholson Jr. testified Thursday morning before the Senate Armed Services Committee on the situation in Afghanistan. 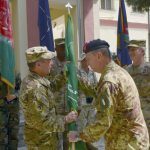 U.S. and NATO troops perform two complementary missions in Afghanistan, Nicholson said: the U.S. counterterrorism mission, called Operation Freedom’s Sentinel, and the NATO train, advise and assist mission, called Operation Resolute Support. “I have adequate resourcing in my counterterrorism mission,” the general said. 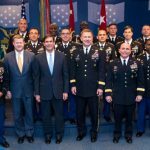 But the train, advise and assist mission has a shortfall of a few thousand troops, he added, noting that the extra troops could come from the United States and its allies, many of whom are fighting in Afghanistan. 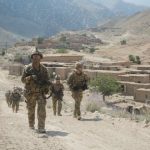 Nicholson said offensive capability will break the stalemate in Afghanistan, and the Afghan security forces’ key offensive capabilities are their special forces and air force. 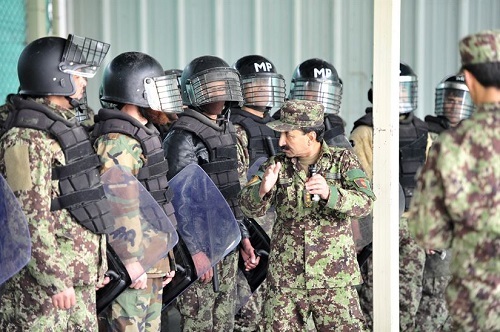 The Afghan air force also is gaining capability, he added, noting that its first ground-attack aircraft entered the fight in April and the force is now integrating intelligence surveillance and reconnaissance assets into new targeting processes. 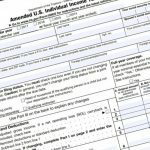 According to a Defense Department statement issued Dec. 19, the fiscal year 2017 budget amendment requests $264 million to procure 53 UH-60 Black Hawk helicopters and to begin to refurbish and modify some of them. The request also would fund more aircraft already in the Afghan inventory, including 30 more armed MD-530 helicopters for $227 million, six more A-29 fixed-wing close-attack aircraft for $174.5 million, and five AC-208 fixed-wing aircraft for $80 million. The request includes $69 million to train aircrew and maintenance personnel, and DOD officials said it will seek funding for more UH-60s and AC-208s in future fiscal years. 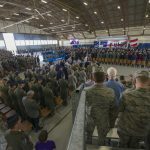 “Congressional approval of funding for the Afghan air force is key to improving the offensive capability of the Afghan national defense and security forces, [and] there is an urgency to this request in order to get these aircraft and aircrews into the fight as soon as possible,” Nicholson said. 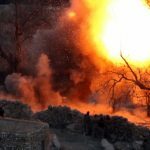 The investment in the Afghan air force will help them take over responsibility for their own close air support, “and, even more important, [it] will lead to an offensive capability that allows them to overmatch the Taliban or any other group on the battlefield, anywhere around the country,” the general said. 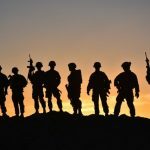 Nicholson said the main objective in Afghanistan is to keep the nation from being used as a safe haven from which terrorists could attack the United States and its allies. “Of the 98 U.S.-designated terrorist groups globally, 20 operate in the Afghanistan-Pakistan region, along with three violent extremist organizations,” Nicholson told the senators. This is the highest concentration of terrorist groups anywhere in the world, and it underscores the counterterrorism platform’s importance in the Central Asia-South Asia region, because it protects the American homeland, he added. 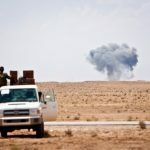 “We remain very focused on the defeat of al-Qaida and its associates, as well as the defeat of Islamic State Khorasan Province, which is the ISIL affiliate in Afghanistan,” he said. Many nations are committed to Afghanistan’s success, Nicholson said. At NATO’s July summit in Warsaw, Poland, the alliance reaffirmed its commitment to sustain the Afghan national defense and security forces through 2020. At an October conference in Brussels, 75 countries and organizations confirmed their intention to provide $15.2 billion to Afghanistan development needs. And India dedicated another $1 billion on top of the $2 billion it already had given to Afghan development needs. “These expressions of international commitment reflect the importance the world places on stability in Afghanistan and confidence in the Afghan people and Afghan government,” Nicholson said, noting that the NATO mission has an exceptional partnership with Afghan President Ashraf Ghani, Chief Executive Abdullah Abdullah, and the security forces and people of Afghanistan. The general said the No. 1 goal of the Afghanistan fight is to protect the homeland from any attack emanating from the region. Success in Afghanistan might be the maintenance of the enduring counterterrorism effort to keep pressure on terrorist groups, Nicholson said. “It means that we would destroy the Islamic State and al-Qaida inside Afghanistan, something we’re actively pursuing every day. It means that we would help the Afghan security forces and government to extend their control to a larger and larger percentage of the population,” he said. 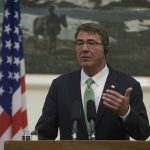 It means the NATO mission would help Afghanistan become a more stable and prosperous entity in a critical part of the world, he added.